or simply join the club in sharing your awesome experience. Uzo is the real deal when it comes to Graphic design. He is very professional in what he does and very accommodating. I vouch for this wonderful gentleman. Keep it up Uzo. Uzo Design recreated my website over the past few months and the results have been tremendous. My client base is now at 65 certified small businesses and the website is really the essence of my consulting businesses value proposition. Uzo understands my business and the best way to create more leads, contacts, and prospects, he is hands on, enthusiastic, and communicates every step of the way acting as a trusted Adviser and digital enabler. We continue to expand our relationship to CRM, Social media, mobile and cloud-based services. Highly recommend his services particularly for companies wanting to disrupt the digital status quo and speed up sales. UZO did a wonderful job doing a letter head with a graphic design and did everything according what was asked and also did it within a timely manner. Definitely recommend his work. Excellent job! Uzo provides fantastic service! Assistance with everything I need is offered every step of the way. My input was valued during the design process and I am thrilled the final design. It really captures my brand. Uzo design,did an incredible job designing my logo for my up and coming business. 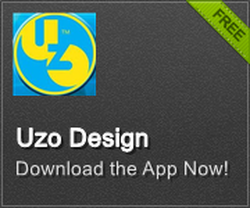 I highly recommend uzo design to everyone. I Guarantee You that you will not be disappointed,he is easy to work with, does incredible work, goes above and beyond for his customers,and gets the work done in a timely manner!! !